Thank you for your interest in the Department of Economics at the University of North Texas. Economics is an exciting field of study that offers many challenging career opportunities. Employers recognize the value of economics degrees and projections suggest an increase of 27% in jobs for economics majors. The UNT Department of Economics is home to over 250 undergraduate majors and 40 graduate students. The undergraduate majors are pursuing one of three degrees offered by the department: the B.A. in Economics, the B.S. in Economics, and the B.B. A. with a concentration in Economics. At the graduate level, we offer the M.S. in Economic Research. 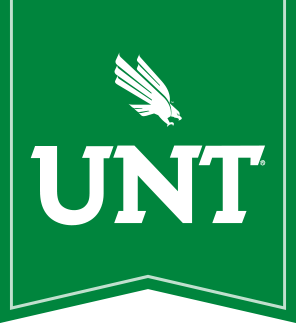 At this time, we are working with the UNT Department of Mathematics to offer a Professional Science Master's degree in Applied Statistics beginning soon. The Department of Economics has demonstrated excellence in teaching with an impressive collection of teaching awards. Dedication to the educational mission of the department extends to development of alumni outreach programs that have resulted in student scholarships. The department has a Master's-level graduate program that trains excellent students in Economics while providing for significant research achievements. The faculty members in the Department of Economics have a wide variety of research and teaching interests. Many of them are international in their scope. Members of the department have worked on projects in Thailand, China, Malaysia, South Korea, Russia, Estonia, Latvia, Lithuania, Poland, Belarus, Ukraine, Romania, Bulgaria, Kazakhstan, Armenia, Uzbekistan, Egypt, Uruguay, Mexico, Paraguay, Indonesia, and throughout Central and South Africa.